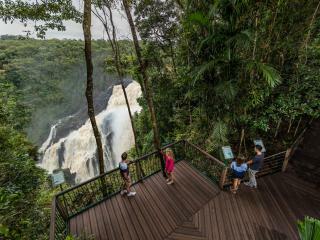 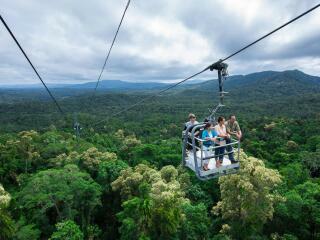 Glide above 7.5km of tropical rainforest canopy with this spectacular Skyrail Rainforest Cableway Experience. 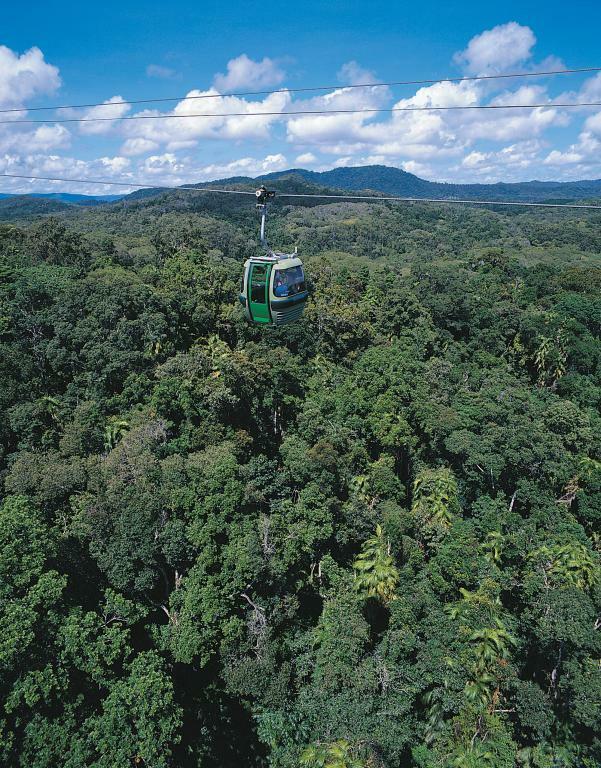 Ride the Skyrail Rainforest Cableway over and into the heart of the rainforest stopping at two mid-stations for sightseeing along the way. 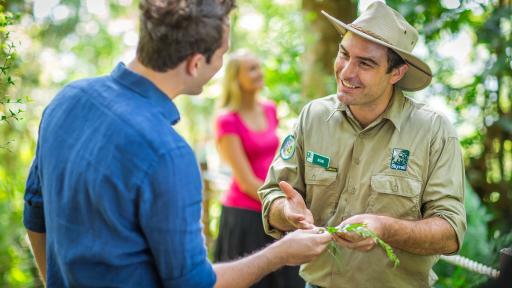 Taking approximately 1.5 hours one way or 2.5 hours return, there are also itinerary options available with this Tropical North Queensland experience. 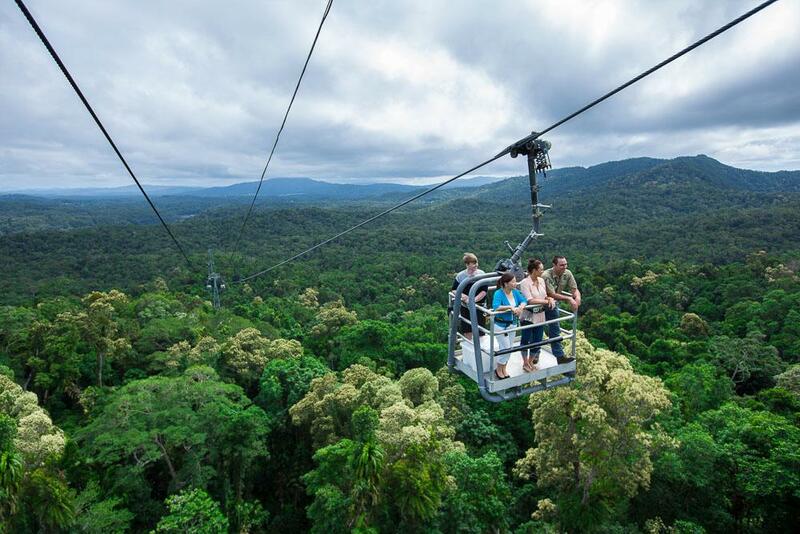 The Skyrail Rainforest Cableway Experience is an excellent addition to a number of leading attractions to create the ultimate day tour. Free WiFi is also available during opening hours inside the Smithfield and Kuranda terminals. 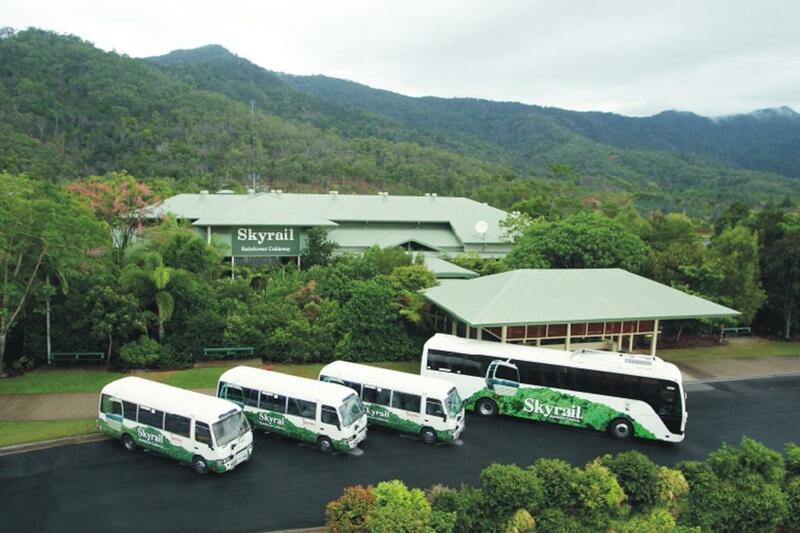 Smithfield Terminal: Located just 15 minutes from Cairns and 50 minutes from Port Douglas, it provides a convenient embarkation or disembarkation point for the Skyrail. 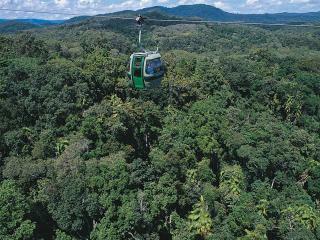 Red Peak Station: The first rainforest mid-station deep in the forest. 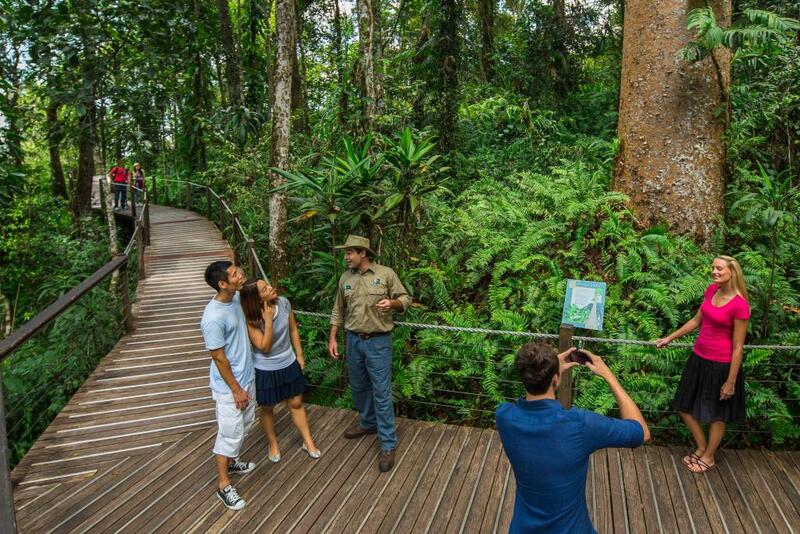 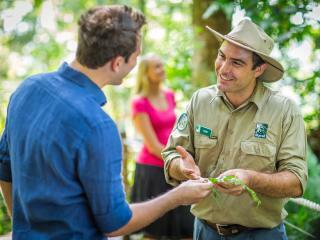 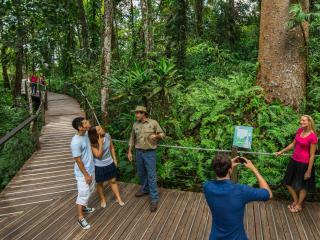 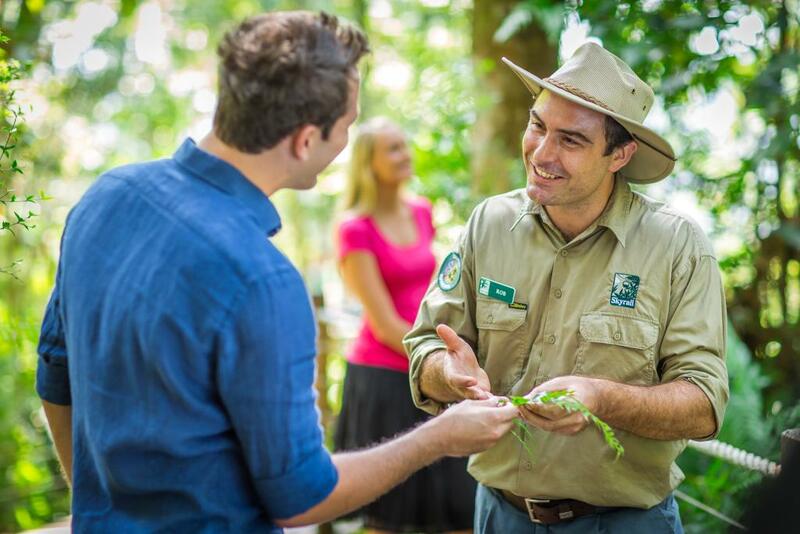 Here, Skyrail's Rangers provide regular guided boardwalk tours sharing their knowledge on these ancient tropical forests. 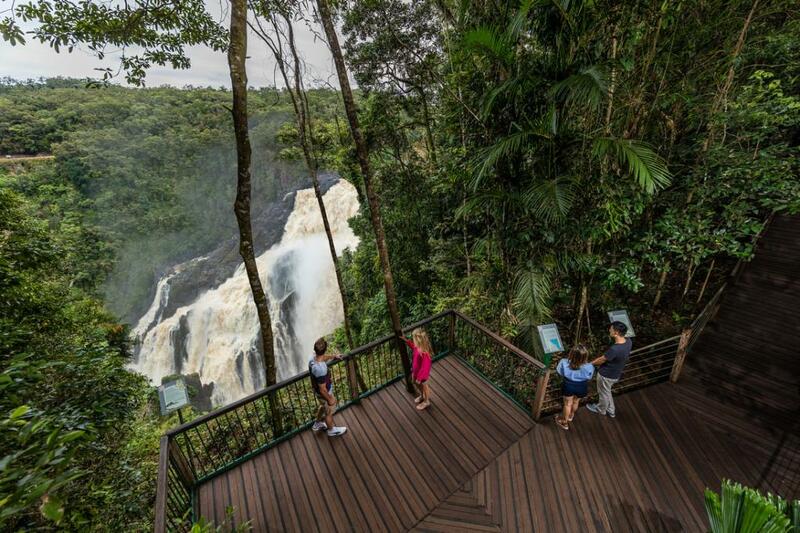 Barron Falls Station: Home to easy access walkways to 3 separate lookouts with breathtaking views of Barron Gorge and Barron Falls. 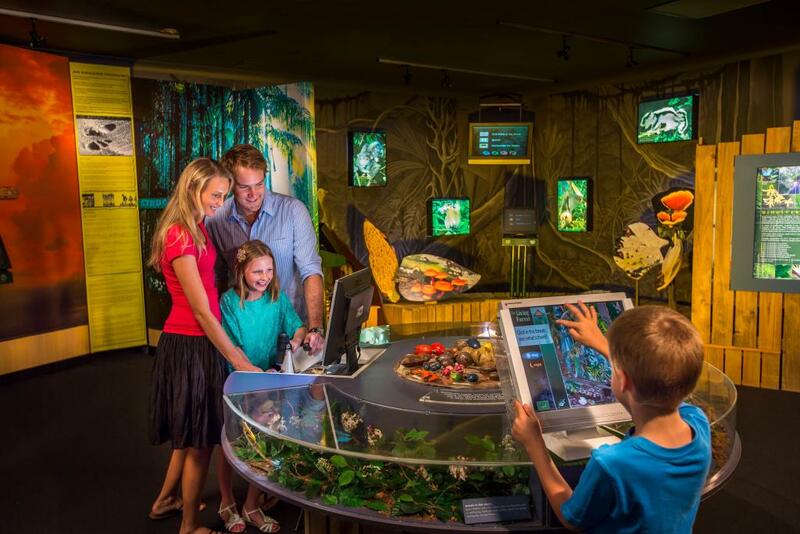 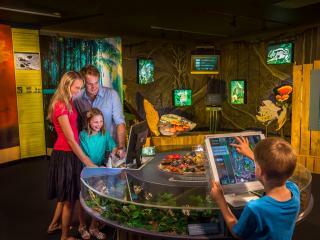 Here you can also visit the Rainforest Interpretation Centre. 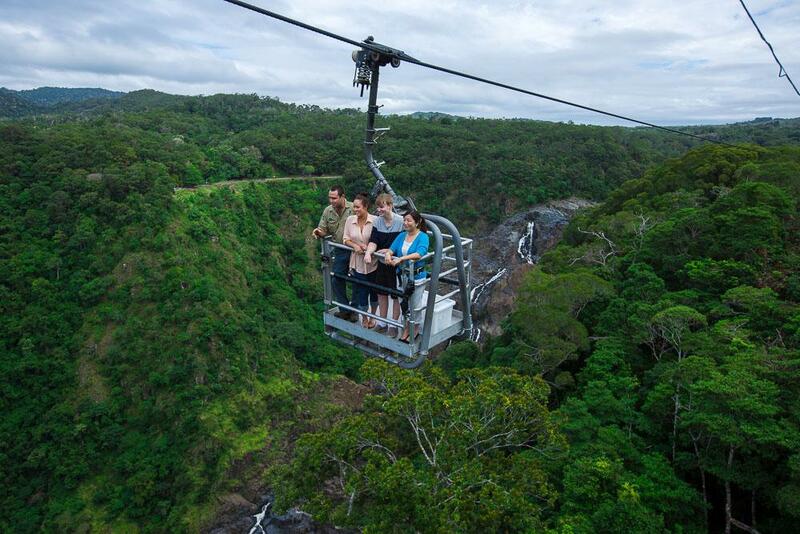 Kuranda: From Barron Falls, your Skyrail experience continues through the mountains before gliding over the mighty Barron River and arriving at Skyrail's Kuranda Terminal. 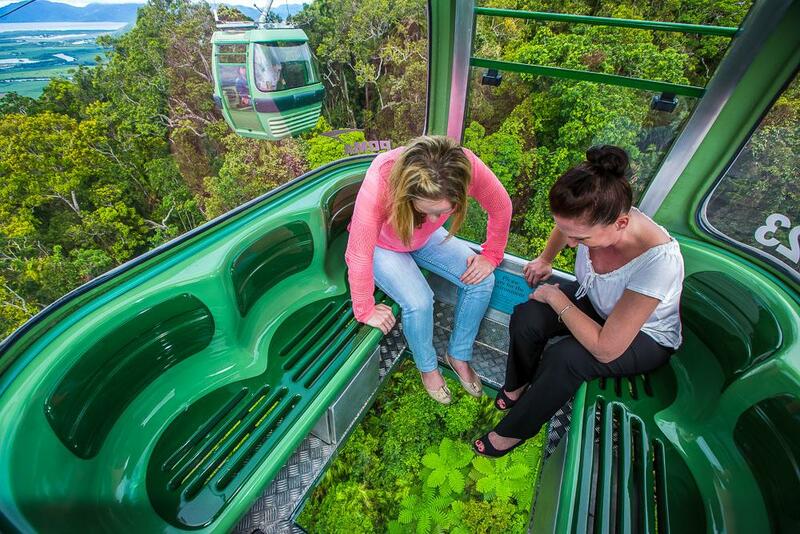 *Diamond View Gondola Upgrade*: Upgrade your Skyrail experience with a Diamond View Gondola, featuring glass flooring for an even better Skyrail experience of the rainforest canopy. 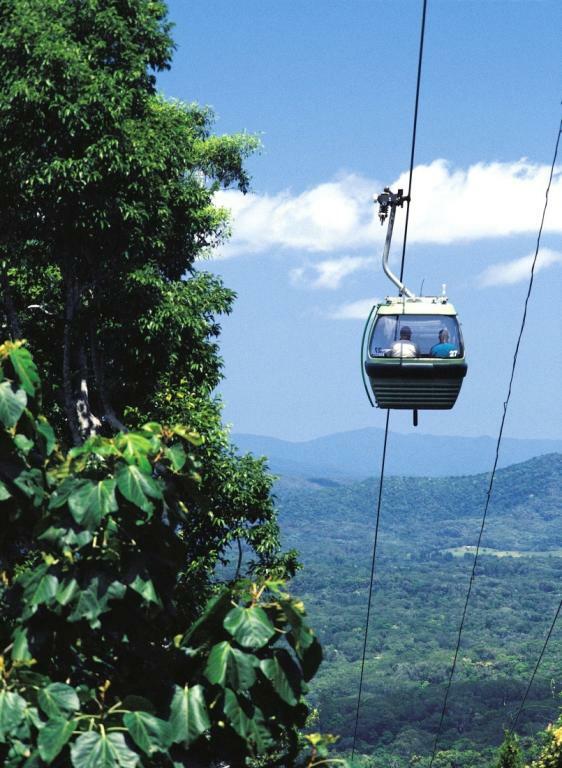 Guests travelling in Diamond View Gondolas will have a dedicated boarding queue. 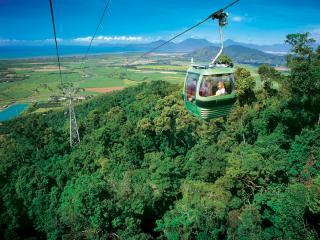 Available as a one way experience only. 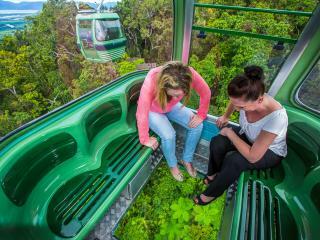 Maximum 5 passengers per gondola. *Canopy Glider Upgrade*: Upgrade your Skyrail experience to a Canopy Glider Gondola. 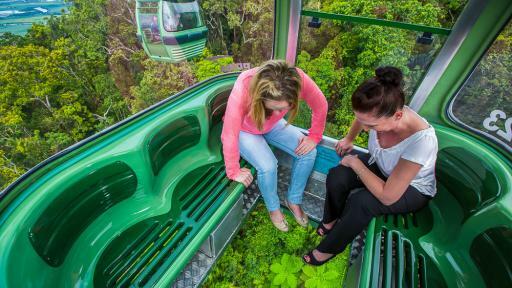 Travel in an open-air gondola with an experienced Skyrail Ranger as your guide and experience uninterrupted 360 degree views. 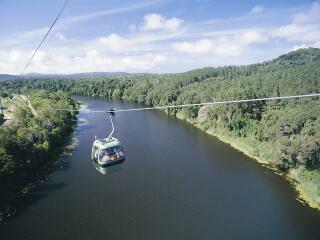 The gondola is exposed to the elements so a variety of weather conditions may be experienced. 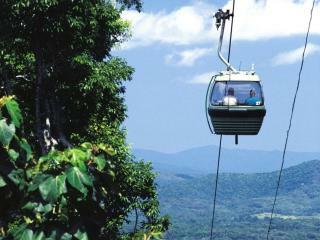 Maximum 4 passengers per gondola. 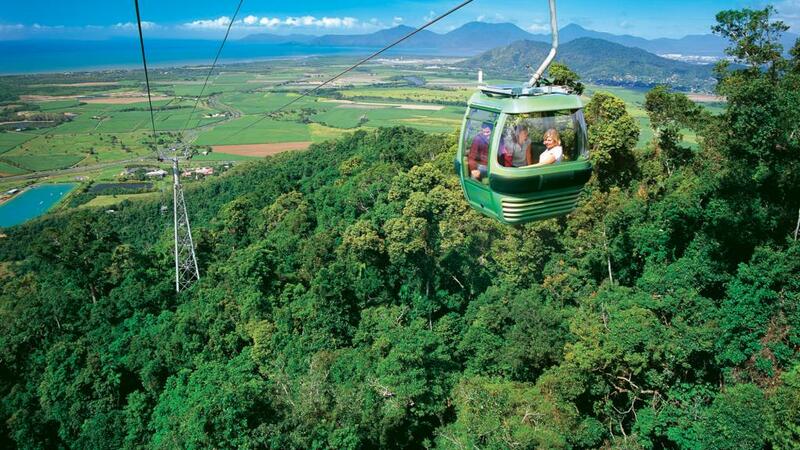 Minimum age is 10 years and children must be accompanied by an adult. 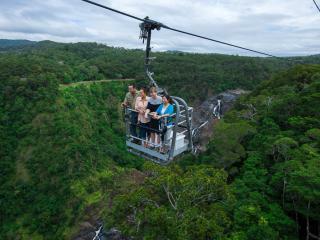 Weight & health restrictions also apply. 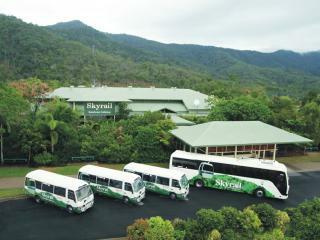 Children: 4 to 14 years inclusive are charged at the child rate. 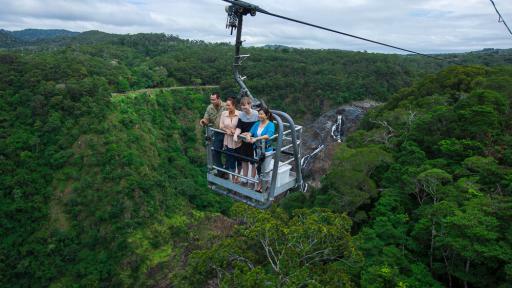 **See age restrictions for the Canopy Glider. 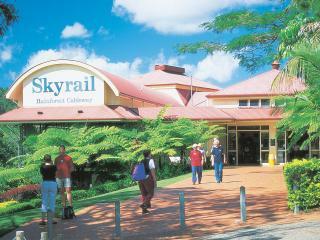 Hours of Operation: 9 am - 5.15 pm. 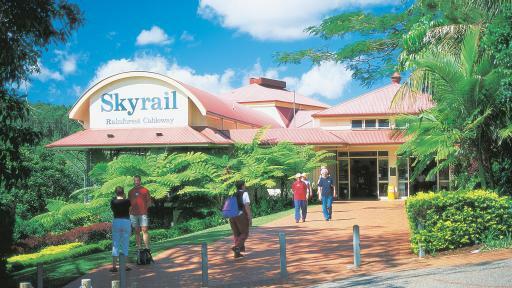 Skyrail does not operate on Christmas Day.